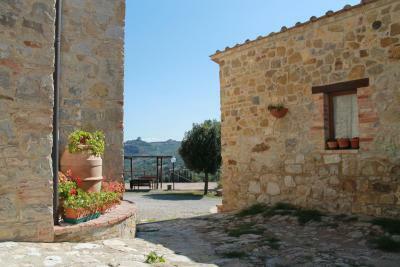 Lock in a great price for Agriturismo Il Poderuccio – rated 8.7 by recent guests! The family that run the property are very friendly and welcoming, nothing was too much trouble. Lucia the daughter visits frequently and speak reasonable English. The room was spacious and very clean, ample pots and pans and large fridge freezer. There was also a shared washing machine available and ample space to dry clothes, free car parking and WiFi. The property is set on a working farm located towards the end of a 3 kilometre long unmade farm track, it has great views of the surrounding countryside and the wild deer can be seen from the terrace. There are numerous walking routes criss crossing the farm track. 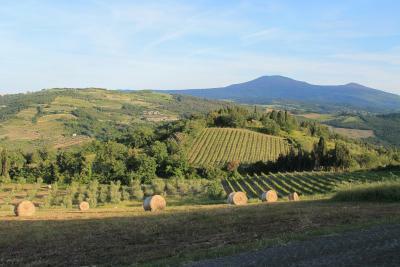 Without hesitation I wholeheartedly recommend this place for a quiet exploration of the San Quirico D'Orcia region and the beautiful SP146. The sunrise and sunsets can be watched with a glass of your host's finest red (well maybe not sunrise, that would be concerning) from the terrace. The walking and peace is impressive. Facilities are very good and you have access to a washing machine whenever you want for no extra charge. Your hosts are welcoming and charming; they don't speak English (their daughter who is a regular visitor does though) but miming is easy. Wifi is fast and free. 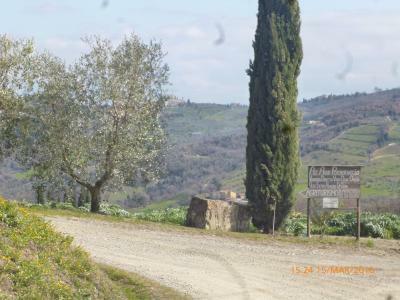 It's 5km along a white road from San Quirico D'Orcia and thus you need a car. A wonderful break overall. 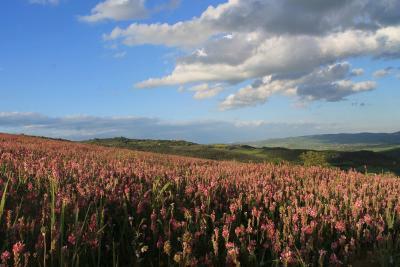 The location was ideal for us as we wanted to stay somewhere that was in the countryside rather than a town. Lucia and her family are incredibly hospitable and very easy to interact with. We had no problems communicating with them despite us not knowing much Italian. We would happily go back. L'agriturismo è immerso nella tranquillità della Val d'orcia. La stanza affaccia direttamente sul verde, ci sono tavoli, sedie e sdraio dove potersi rilassare e godere del panorama. Si possono raggiungere facilmente i luoghi di interesse nei dintorni. I proprietari sono davvero gentili e ci hanno fatto provare i loro prodotti, tra l'altro molto buoni. Spero di tornare presto! Vista e panorama Stupendo. Staff Cordiale e premuroso. Lage, Lage, Lage. 15 von 10 Punkten ;-). Und dafür muss man ca. 3 km Anfahrt über eine staubige Piste durchaus in Kauf nehmen. 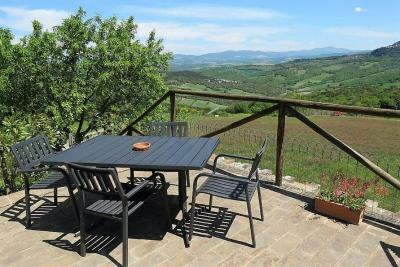 Der Blick von der Terrasse ist herrlich, 180 Grad Überblick über das Orcia-Tal, zur Rocca d´Orcia und zum Monte Amiata. Aufgrund der Abwesenheit der Inhaberin (Urlaub) hatten wir überwiegend mit deren Eltern zu tun, die sehr freundlich waren (aber nur Italienisch sprechen - für mich kein Problem, andere könnten sich schwerer tun). Außerdem hätte die "Nachbarin" zur Verfügung gestanden, wenn uns etwas "gefehlt" hätte. Nun ja, uns fehlte einiges, aber dazu im anderen Abschnitt mehr. Нам все понравилось: расположение, чистота, приветливые владельцы, устройство апартаментов- прекрасный камин) для ребёнка также была предоставлена Кроватка, полотенца и стульчик.- we liked Il Poderuccio very much! The location and beautiful view from the terrasse , nice parents of Lucia , accommodation , also there were all things for the baby- baby cot/towels/baby chair. 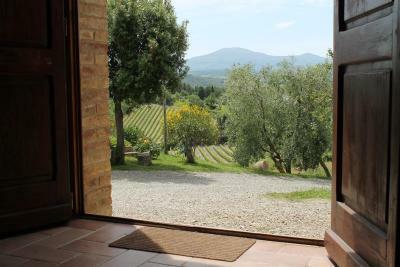 Featuring free WiFi throughout the property, Agriturismo Il Poderuccio offers pet-friendly accommodations in Castiglione d’Orcia, 15 mi from Montepulciano. Free private parking is available on site. Certain rooms have a seating area for your convenience. Certain units feature views of the mountain or river. Every room is fitted with a private bathroom. A panoramic terrace is also featured. This farm stay also offers organic, locally-grown food. Siena is 31 mi from Agriturismo Il Poderuccio , while Saturnia is 39 mi away. 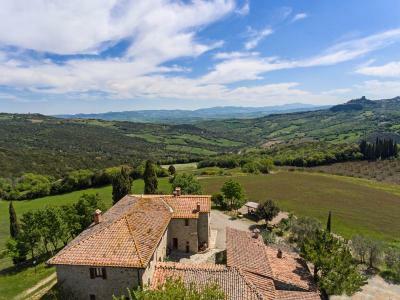 The nearest airport is Perugia San Francesco d'Assisi Airport, 59 mi from the property. 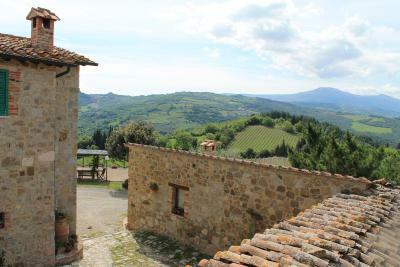 When would you like to stay at Agriturismo Il Poderuccio? This apartment has a kitchenware, fireplace and dining area. This double room features a kitchenette and private entrance. House Rules Agriturismo Il Poderuccio takes special requests – add in the next step! 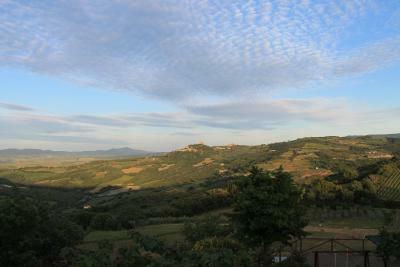 Please inform Agriturismo Il Poderuccio of your expected arrival time in advance. You can use the Special Requests box when booking, or contact the property directly using the contact details in your confirmation. We were on an extended trip and therefore had a lot of clothing with us, a little more clothes storage would have been useful to us. Nothing to do with the property but just a note for travellers that the dirt road leading to the property is around 4 kms long - requires careful driving (at least for us city folks!) as its rocky in some places, has gutters on either side and leaves a thick coating of dust on the vehicle.